This work was published in 1724, under the pseudonym Captain Charles Johnson, by an unknown British author, usually assumed to be Daniel Defoe. This work is the prime source for the biographies of many well-known pirates of that era and shaped the popular notions about pirates of the day. 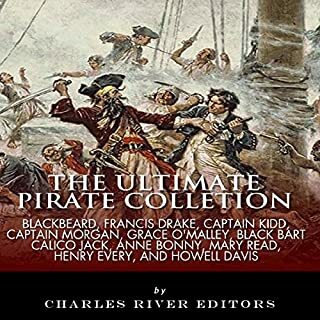 Included are Blackbeard, Black Bart, Jolly Roger, Anne Bonny (aka Anne Bonn), Edward Teach, Henry Avery, Mary Read, and many more. Enjoy young Jack Sparrow's adventures in this collection. In The Coming Storm, Jack Sparrow and his motley crew are on the quest of a lifetime: to locate and procure the legendary and powerful Sword of Cortes. While continuing their quest for the storied Sword of Cortes, the crew suddenly finds itself entranced by an ethereal song in The Siren Song. And in The Pirate Chase, Jack and his crew are hot on the trail of the notorious pirate Left-Foot Louis, who they believe is currently in possession of the Sword of Cortes. Pack your cutlass and blunderbuss--it's time to go a-pirating! The Invisible Hook takes readers inside the wily world of late 17th- and early 18th-century pirates. With swashbuckling irreverence and devilish wit, Peter Leeson uncovers the hidden economics behind pirates' notorious, entertaining, and sometimes downright shocking behavior. 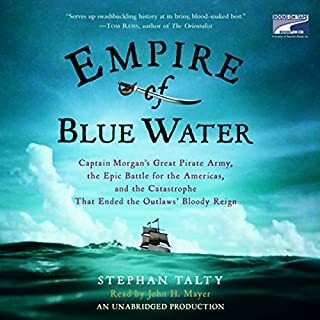 A great read for people who love pirate history. A compelling account of history's most famous pirate. The Pirate King is the compelling true story of a Welshman who became one of the most ruthless and brutal buccaneers of the golden age of piracy. The inspiration for dozens of fictionalized pirates in film, television, and literature - as well the namesake of one of the world's most popular rum brands - Captain Sir Henry Morgan was matchless among pirates and privateers. Very good read, information was in depth and enjoyable. Each topic concerning the history of pirates was researched and presented in great length. The examination of many of the pirates of the time and clearing of misconseption of ther life - For instance "walking the plank" has only one recording occurance. The description of the torture , the description made these new films of robots and beasts look tame . 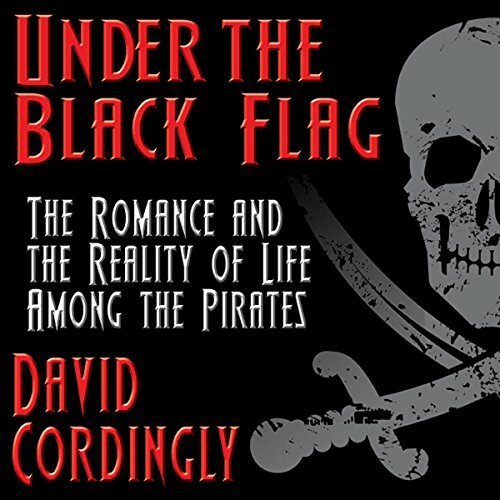 A must read for anyone interested in that time period and the Brotherhood of Pirates. Yes and no. I learned a little from this book, the author seemed to wander from topic to topic and the whole book was loosely tied together. If you’ve listened to books by David Cordingly before, how does this one compare? This is the first book buy the author, as I have mentioned it is an ok book, but I never really got the sense of what life was like during this time in history. I was expecting more of a history and fewer "stories"
No this was my first time hearing him. He did a great job! Was Under the Black Flag worth the listening time? Yes and no. I wanted more information, more facts. The author bounces all over the place. 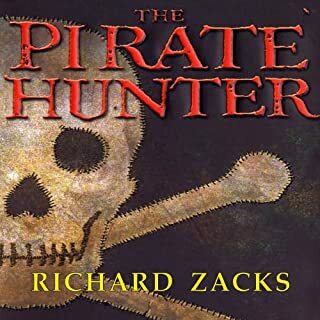 The chapters are loosely connected, and only a few times does he point out that our modern conception of a pirate is very different than what are the facts. Overall not a horrible book, but not what i was looking for. I was happy to find a broad history of pirates. Given how hot pirates are in popular culture, it's nice to have a factual background. I would not want to listen to this all in one sitting. It can get a little dry. I broke it up over a period of time. There was a section on punishment that was very gory. My son listed to portions of the book with me, but he could not have listed to this part, and I had a hard time getting through it. I understand its importance, but it was tough to listen to. it was a bit dull and Minautonus.. was good for background noise.. got a few interesting factoids but that's it.. 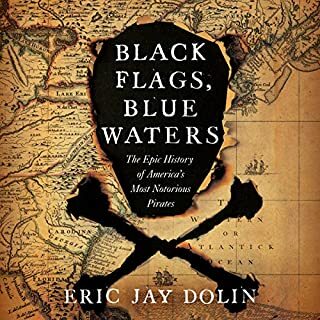 This book focuses mainly on trying to sort the truth of historical piracy from the legends, myths, and romanticized popular views of piracy. The book is largely composed of stories and anecdotes about pirates, with each chapter tackling a different topic. It is not as a cohesive historical narrative, which seems to be the cause of some frustration for other reviewers. 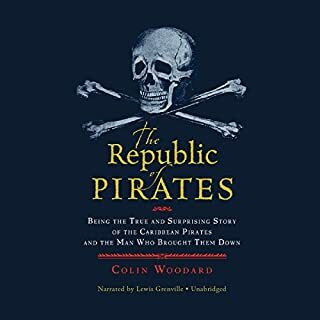 If that is what you're looking for, try "The Pirate Republic," by Colin Woodard. 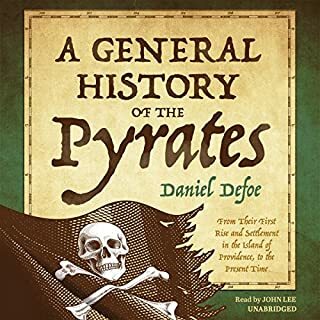 However, if you want to know if there is any factual basis for many of the tropes and clichés of piracy in popular culture, this is a really interesting and informative book... Just don't expect an exhaustive linear history. good book, mostly a review of stuff I previously learned some facts are not quite fact but close. This book is like that elderly uncle that you finally get to talk about the exciting aspects of his life. Instead of an exciting adventure or interesting historical narrative you get a wildly rambling set of associated stories the loop and double back. Repeating themselves covering already well trod ground while attempting to link to a different topic. The information is all there and I'm glad that I read/listened to it. But I'm sure there must be a better coverage of this popular and interesting topic. Perhaps someone can do a major edit of this work to make it coherent. Or maybe I need to read further. Really enjoyed the book despite the American pronunciation of so much of it. Perhaps the voice might learn to pronounce the words he's reading in future. Non spoiler alert, but the last section offer a suitable historic footnote that articulates the misconceptions and romanticising of the subject matter, maybe watch the excellent Black Sails amalgamation of fact v fiction to help visualise the content the section of Hollywood’s makeover also reinforces idealised stereotypes that still pertain. Grab a rum and immerse yourself to help visual sloops and the socio economic and political dynamic that still 300 years translate in elements of today’s society. The author has done a excellent job of the realities of this period, from a reference point of view as a training tool, you need to take key window timeline of specific periods and events within the social context and frame around your own storytelling narrative. The crime, state retribution and punishment keeps you immersed beyond the usual key figures and the chapter on homosexuality is enlightening. This book is filled with great information but reads a bit too much like research notes, quite dry.